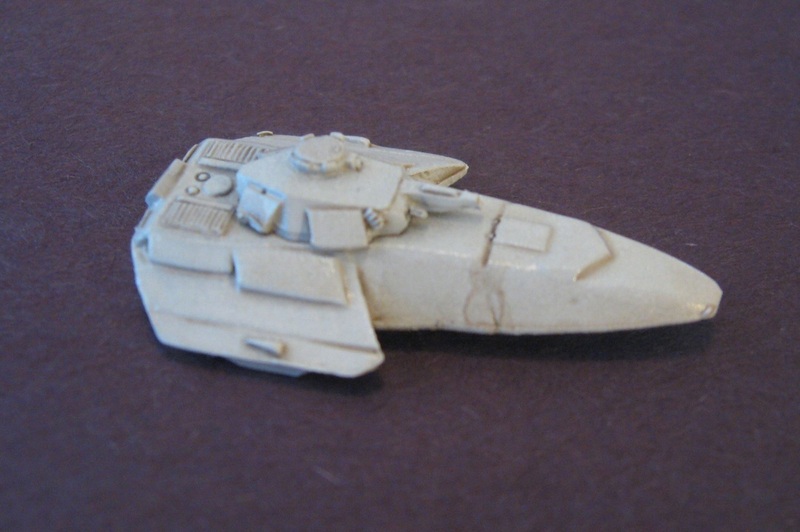 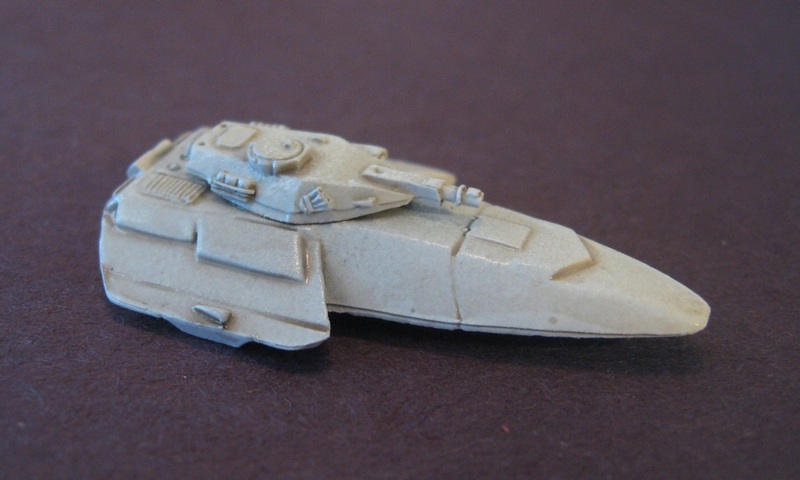 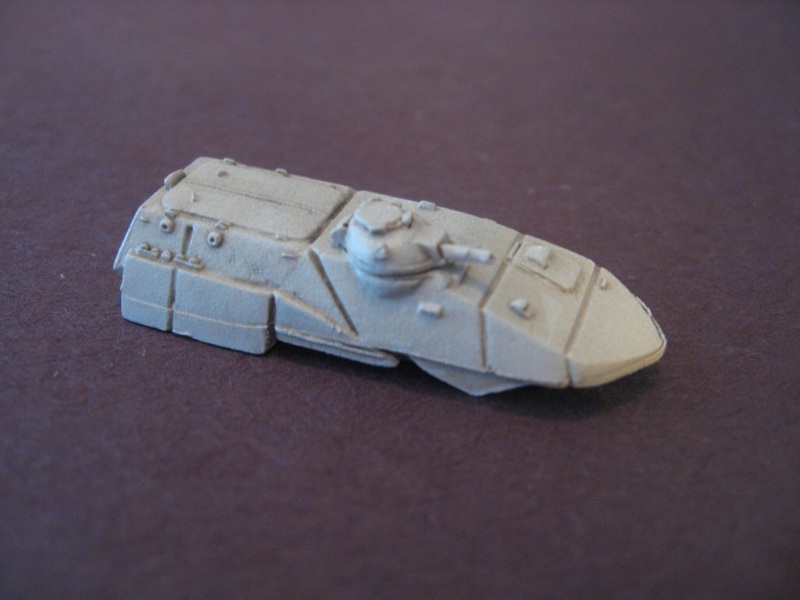 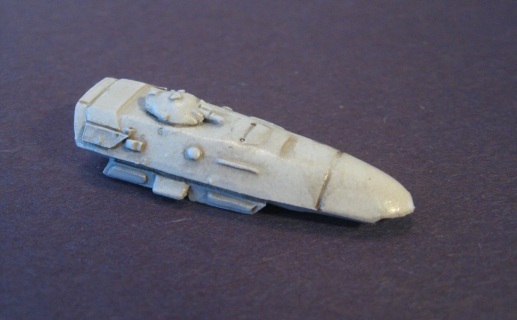 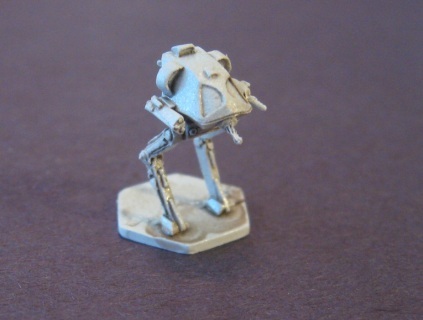 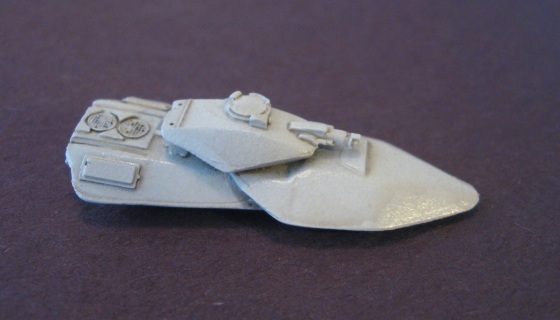 3x 6mm Metal miniature of Zukat type Scout walker. 3 part kit. Contains very small parts. Single strip of 4x 6mm Venturian infantry figures wearing environmental combat armor with a Leader, SAWlaser gunner, Rocket gunner and rocket ammo bearer mocing. 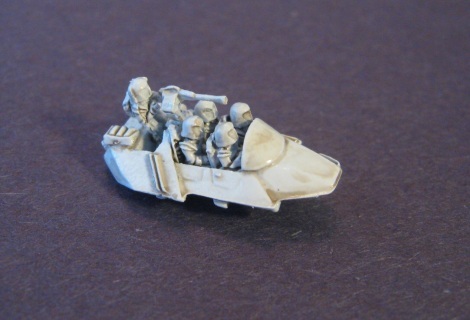 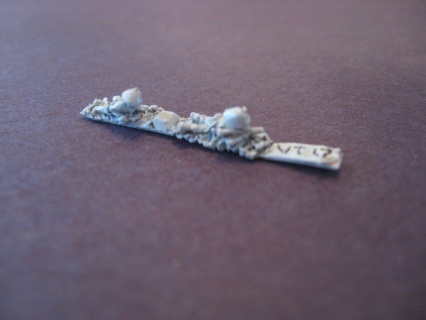 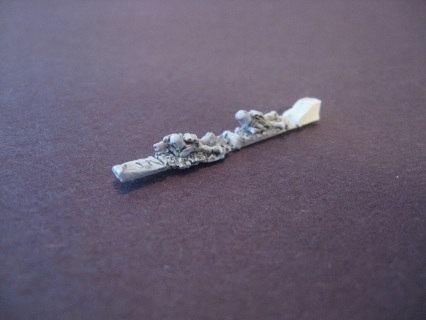 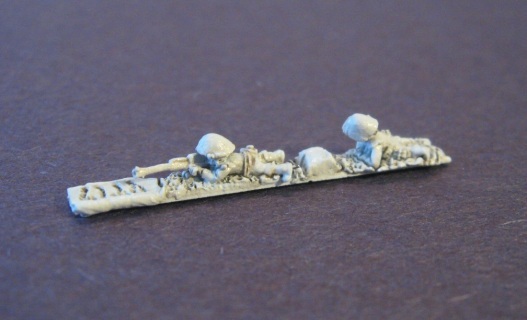 3x 6mm Metal miniature of Venurian type grav sled with 5 Marine/Lift Infantry crew and support weapons options. Contains very small parts. 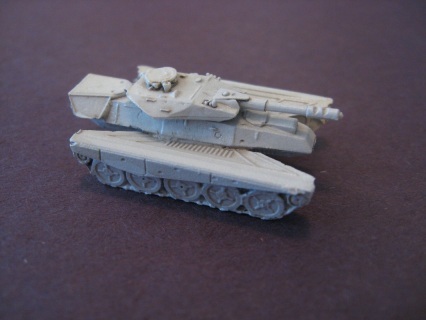 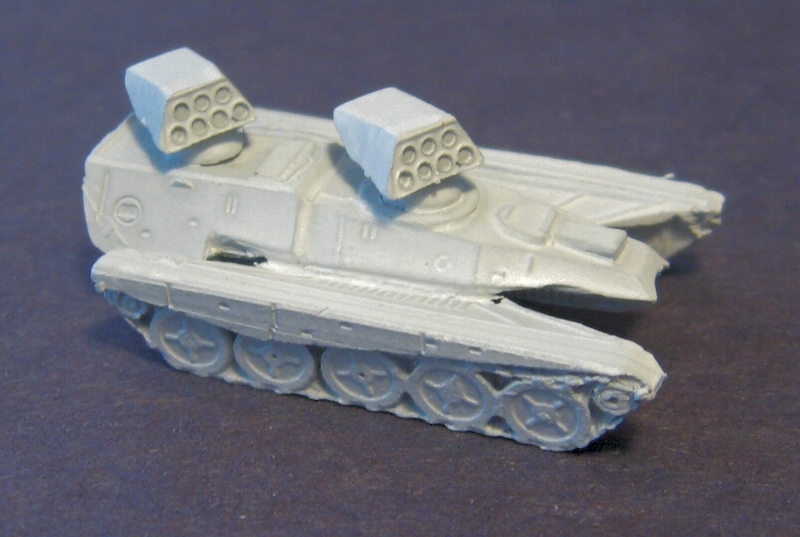 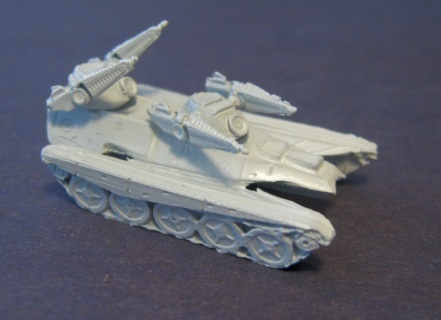 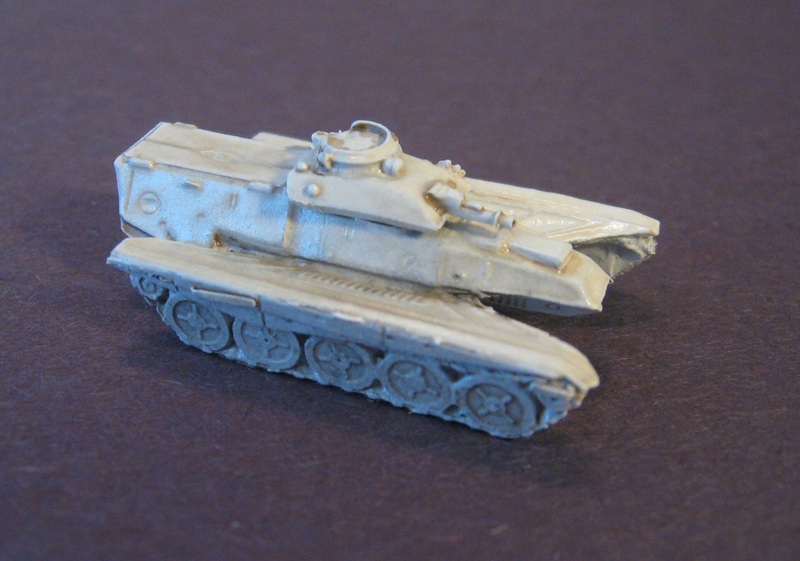 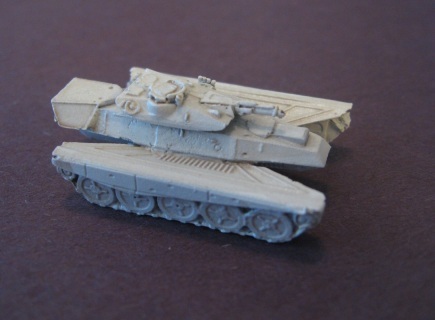 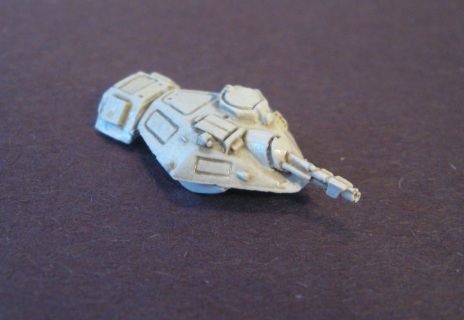 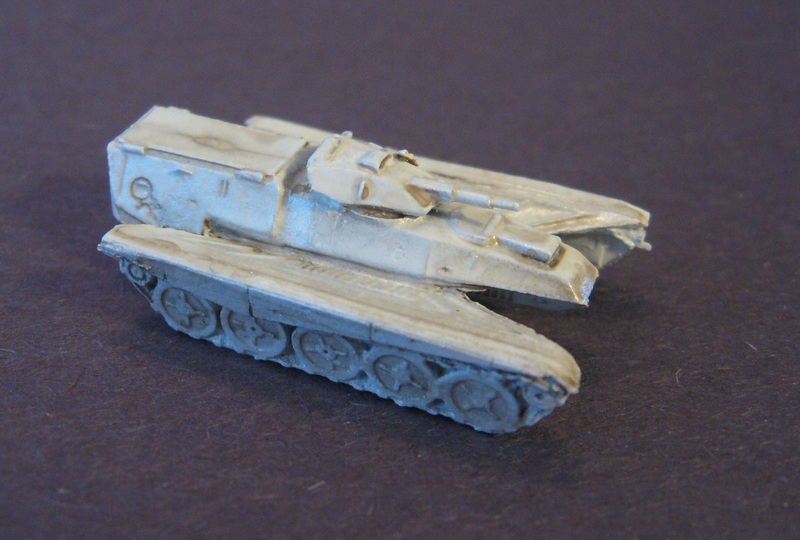 3x 6mm Metal miniature of Tzzoh type tracked dual-turreted Anti-Aircraft Tank kit, 7 parts each. Contains small parts.